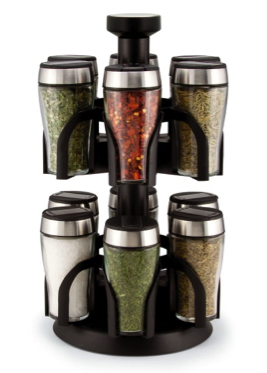 Unique torch-shaped glass spice jars with sliding sift and pour tops. 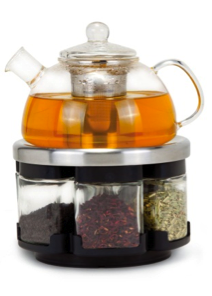 Each jar has curved jar holders offer easy access and secure hold. Chrome and black motif complements brings out elegant modern kitchen appliances appearances. The jars contain 12 savory gourmet spices filled in FDA registered facility. 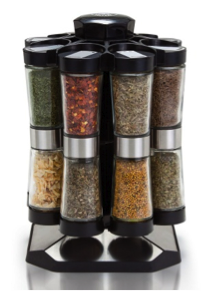 Stylish and svelte double ended hourglass spice jars dispense two different spices with the flip of a hand. 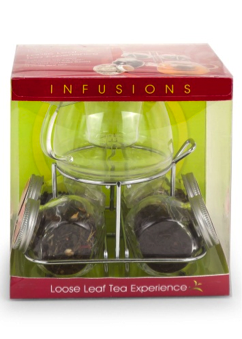 Includes 16 savory gourmet spices filled in FDA registered facility.